← Bachelor of the Week: Mitch! 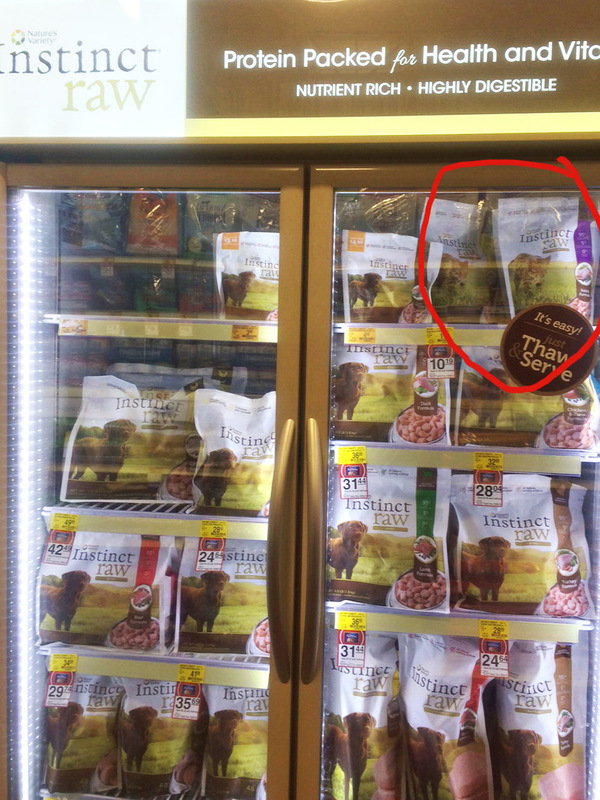 If they are only going to have one fridge per store, they shouldn’t hide it in the dog section.. how disappointing..
Hum.. those bits look different from what we have tried in the past, maybe I’ll look into another package and see if The Crew likes it for when we don’t have food thawed. 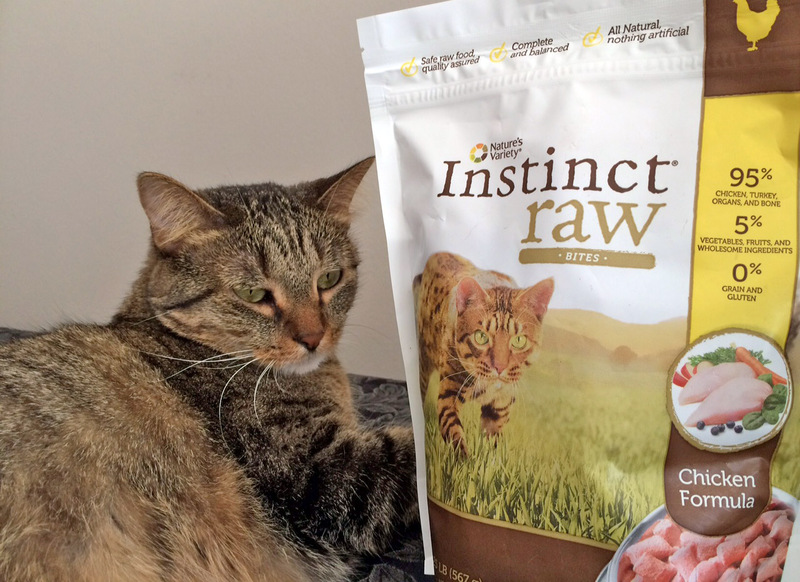 We got to try the Instinct Raw Bites too. 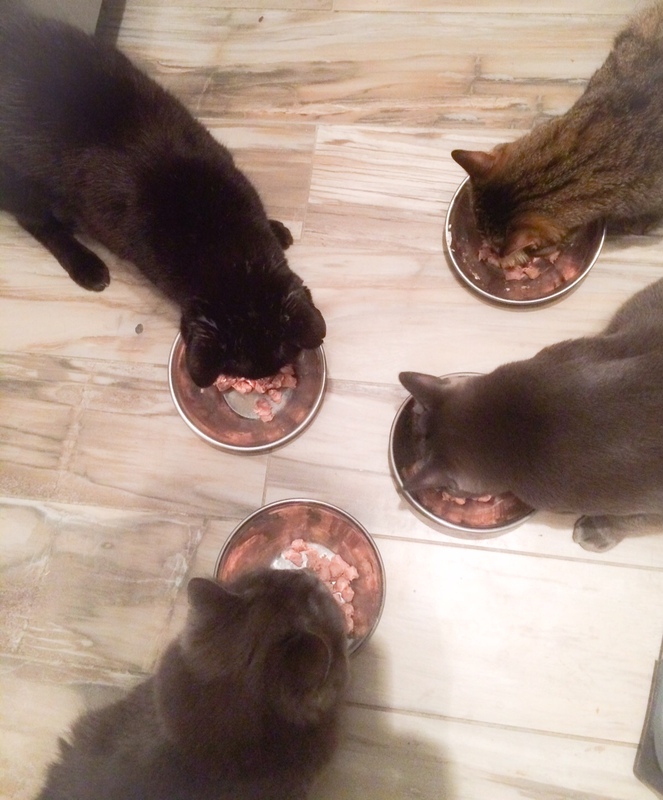 The mom adds it to our wet food…and we love it! 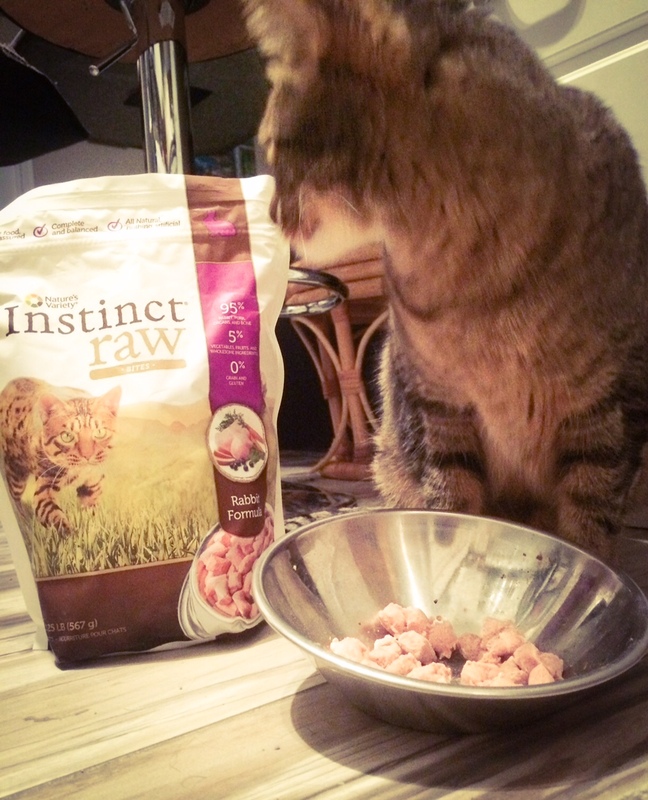 I loved the Instinct Raw Bites right away! 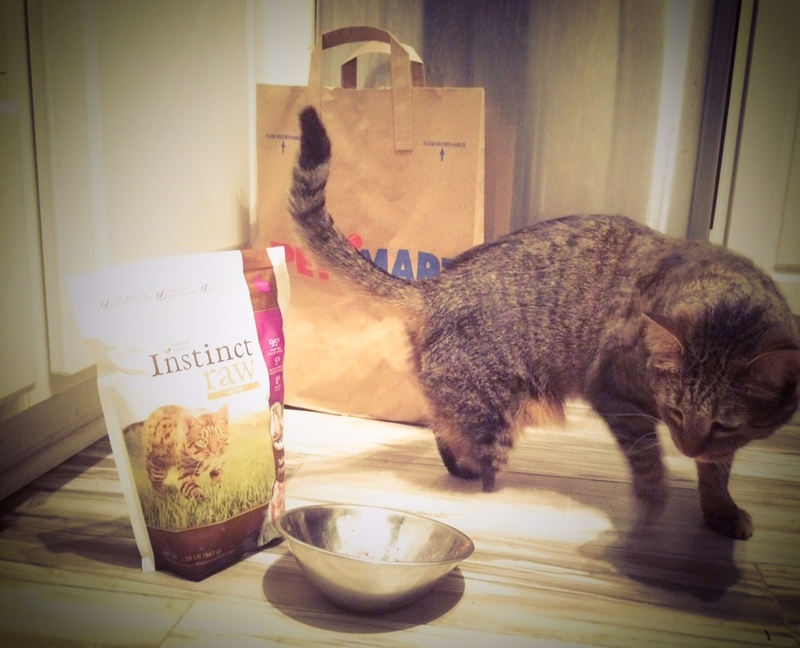 Just the little bit Binga has gotten so far has helped with her digestive issues! Looks like a hit with your crew too! Great post. This food looks interesting. 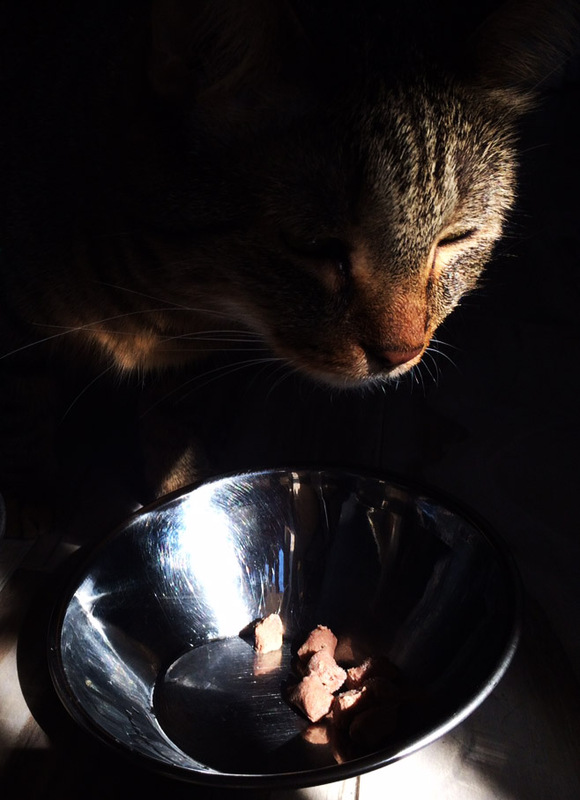 We love our FF beef but every other day mom puts Purrfect Bistro food down for us. If PetSmart up here has it we’ll try it. Newton loved this food when it was available in our area. 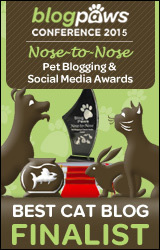 Maybe this push into PetSmart will make it available again in the future so we have the option again. Raw really does seem to be the way to go, and the idea of having a way to feed raw when the head peep doesn’t plan ahead is really appealing! We are going to run right out and get some…Ok, the human is going to do the running I’ll do the taste test! 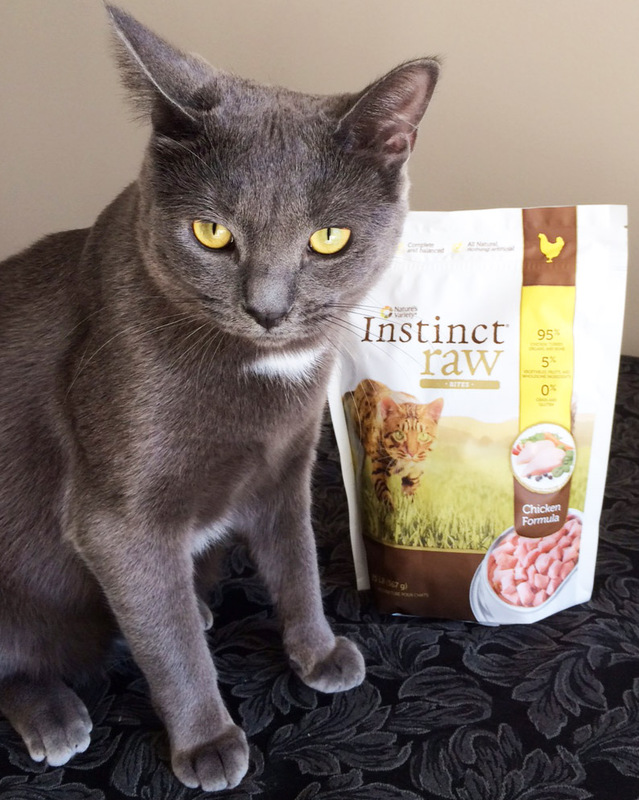 I have fed raw to some of my cats and they did well on it–particularly the one with the digestive issues. HOWEVER, if your cat has a compromised immune system due to the medication it is on (steroids, chemotherapy), be VERY careful. One of my (former) vets increased the cat’s dosage and the cat’s system could no longer handle the raw (it was this brand) and almost died. It cost me about $3,600.00 and took some incredibly talented vets to save him. I think raw is a good idea so long as safety precautions are followed and common sense is used. Truffle liked it once I put it on my fingers and mashed it a little. Brulee says the jury is still out of whether she’ll eat it. Maybe this is the next solution we need to try when it comes to Clove’s digestive tract. No matter the food she eats, when she uses the litter box the odor that follows is so strong, eye watering, nostril closing, and scream inducing it practically turns the neighborhood in to a ghost town. 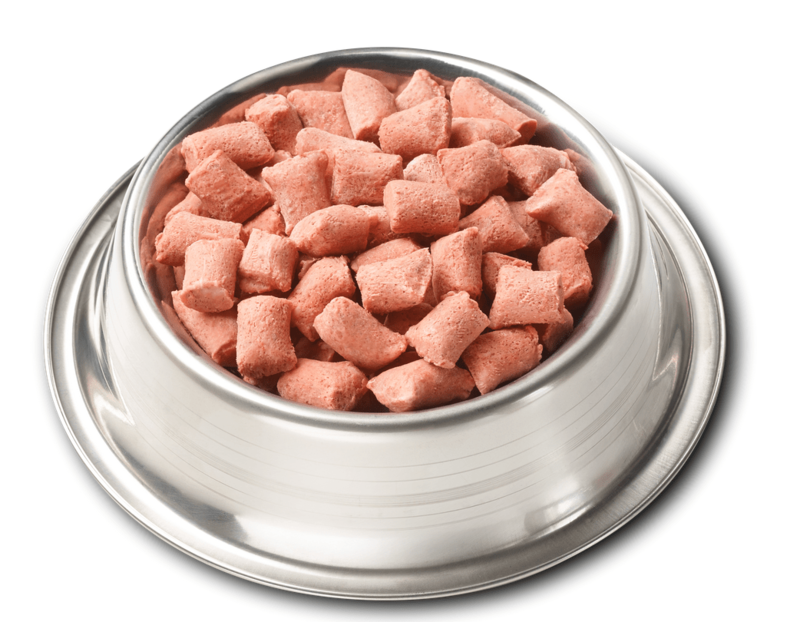 I’ve heard a raw diet works well to eliminate horrid smelling elimination, but have always been turned off by the smell, appearance and danger of E. coli, but the Instinct Raw Bites don’t look much different than some of the grain free canned food she normally eats. 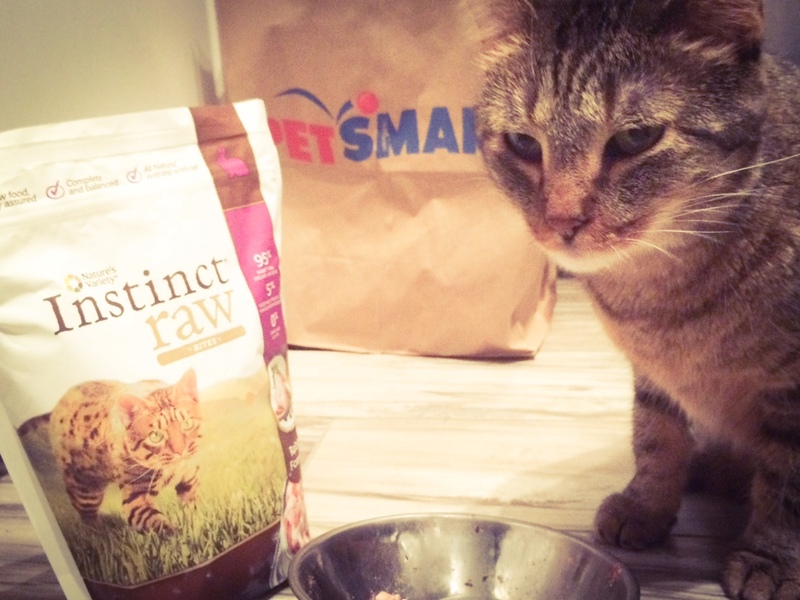 A lover of any and all meats I have a feeling Clove will not mind the idea of switching to a raw diet, tomorrow to Petsmart we shall go! Thank you as always for the helpful information and honest thoughts dear Crepes. Using you as their supercatmodel/spokespurrson would have Raw Bites flying off the fridge shelves and putting mazillions in Instinct’s bank account- they would be crazy not to! Your talent, beauty, humor and smarts never cease to amaze me sweet niece, it’s no surprise you have the FODs wrapped around all three paws and one stump.